Peter has been in the Accounting industry for over 30 years. He founded the firm in 2002. Peter earned his Bachelor of Business degree from Northeastern University and a Master's degree in Taxation from Bentley College. He worked as a tax accountant in private industry for companies such as Raytheon and Computervision and then in public accounting for Ernst and Young and Wolf & Company before striking out on his own. Peter enjoys spending time with his wife Lynda, his grown children, grandchildren, extended family and good friends. Other pastimes include basketball, kayaking, camping, travel and hiking. A lifelong resident of Massachusetts, he is passionate about the Patriots, Celtics and Red Sox. 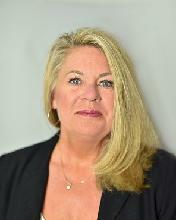 Susan has earned her Associates degree in business management from Aquinas College in Milton. With over 20 years in accounting experience. Sue has held various positions for large and small companies to include accounting manager, accounts payable accounts receivable, payroll, and financial reporting. Sue has been with our firm since 2006. 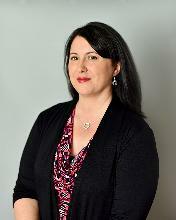 She is currently a QuickBooks Pro Advisor as well a licensed Enrolled Agent. She enjoys spending time with her husband and two boys. Her favorite pass time is watching her sons sporting events, shopping, and reading a good mystery novel. Maria has earned her Associates degree in business management from Aquinas College in Milton. Maria was involved in the medical field for a number of years as well as a stay at home mom for her young children. Maria has joined our firm in 2016 as our payroll specialist. Maria has a great attention to detail and her organizational skills are impeccable. In her free time Maria likes to spend time with her children at baseball games and school events. Christine has taken accounting courses at Glendale Community College in Arizona. Christine has lived in many states with her family supporting her husband's career. While raising her children, she has worked for various accounting firms reconciling clients bookkeeping and creating financial statements. Christine has joined our firm in 2016 as our bookkeeper. Christine is very diligent in making sure that each transaction is coded to the right category. In her free time she likes to watch her daughter play softball and vacation with her family.